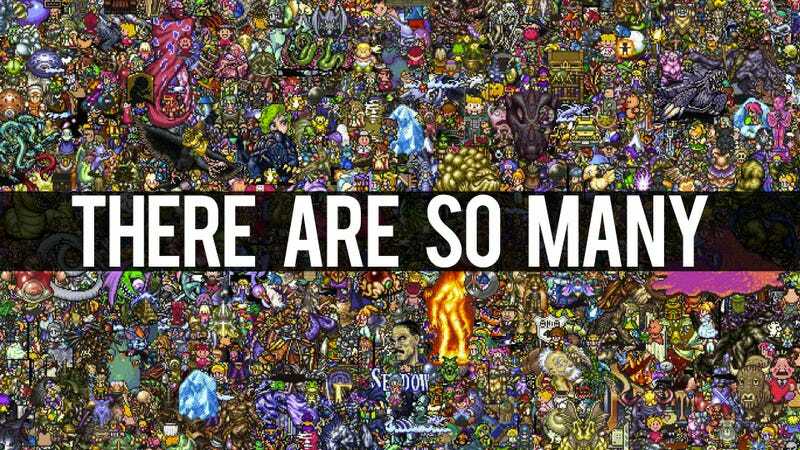 What Do 13,000 JRPG Characters Look Like? This. Behold, here are 13,000 Super Famicom era Japanese role-playing game characters stuffed into a single image. How many can you name? Better yet, how many can you not? The Super Famicom (aka Super Nintendo outside Japan) was home to numerous classic role-playing games, like Chrono Trigger, Final Fantasy IV, Earthbound—and more. This image—full-sized version can be seen below—appeared on Japanese site Game Jouhou; however, the original source might be from another site.